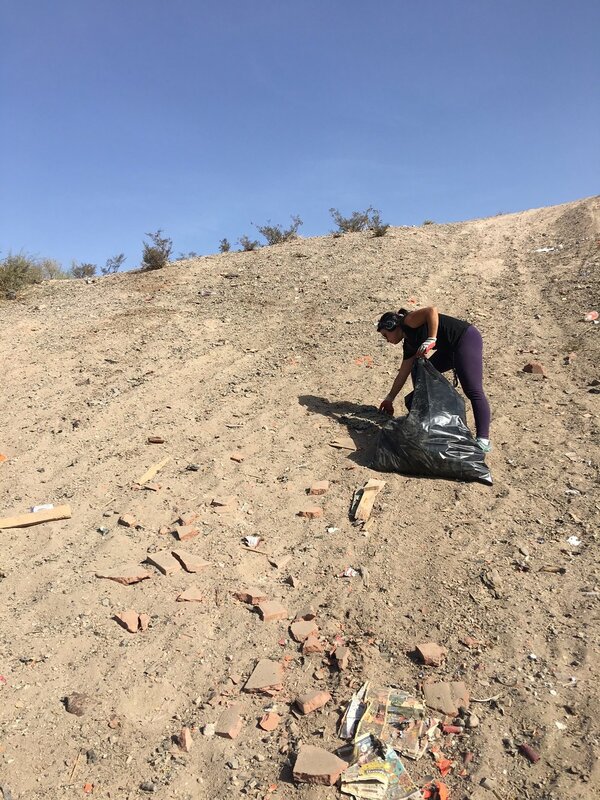 Natural Restorations hosted a Cleanup Event at Lower Sycamore on Saturday, October 21st, 2017. 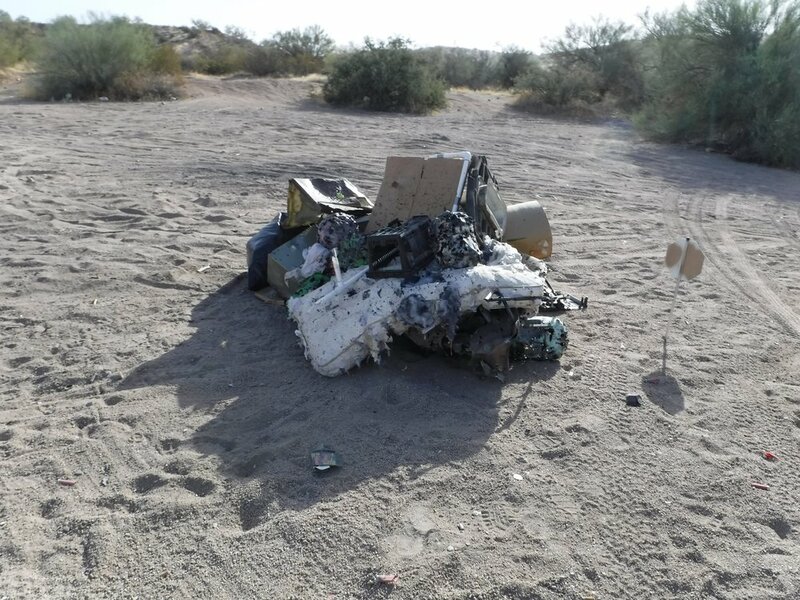 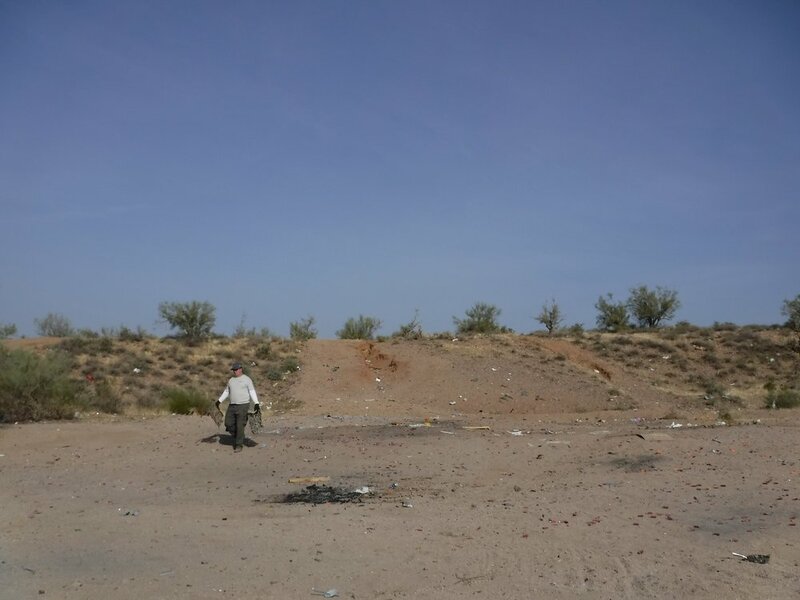 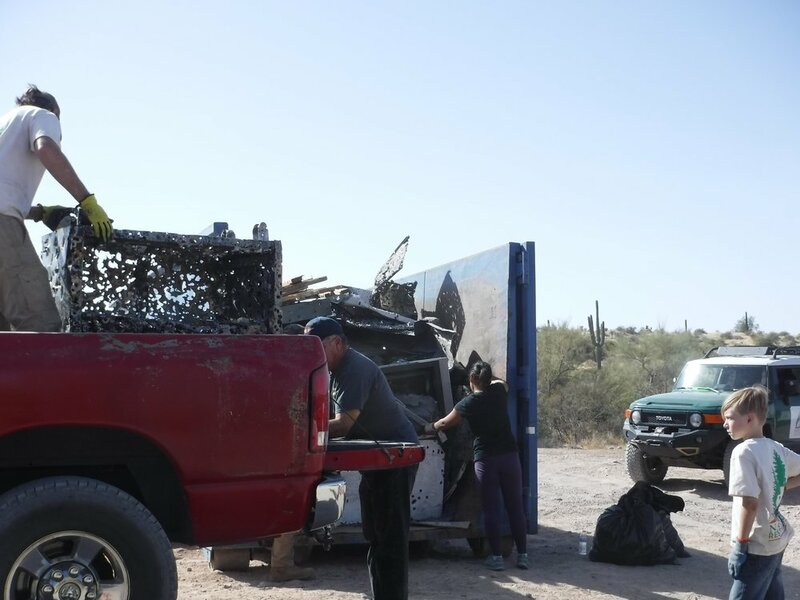 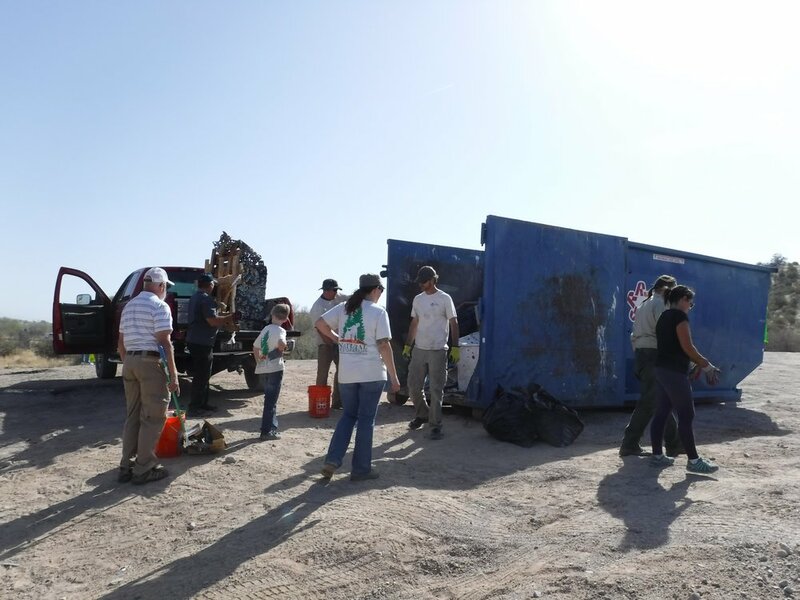 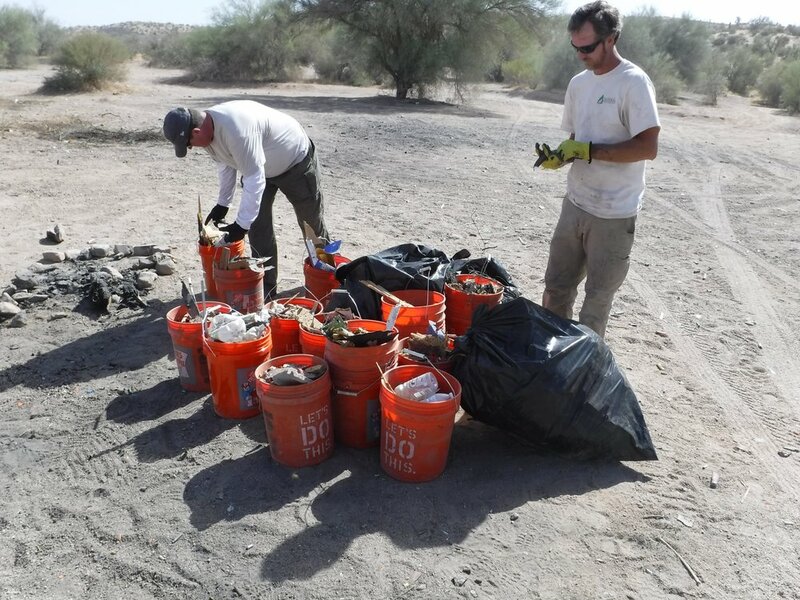 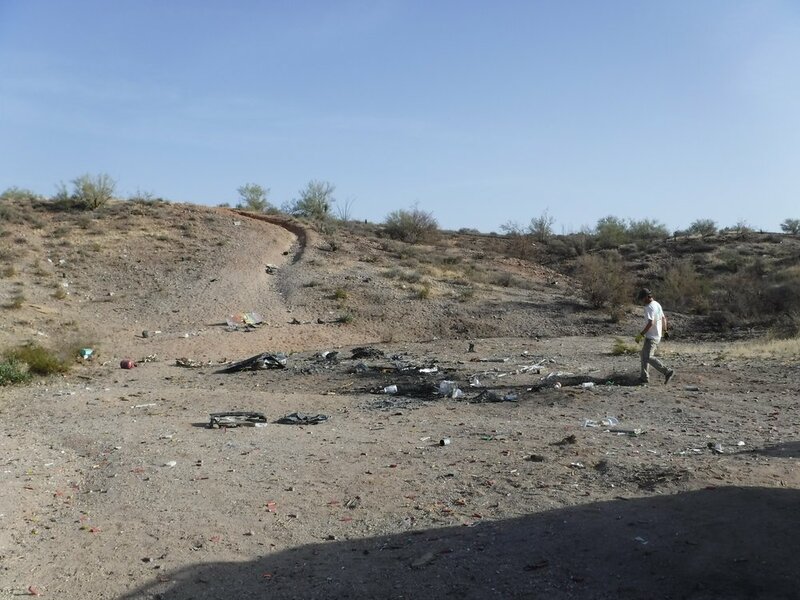 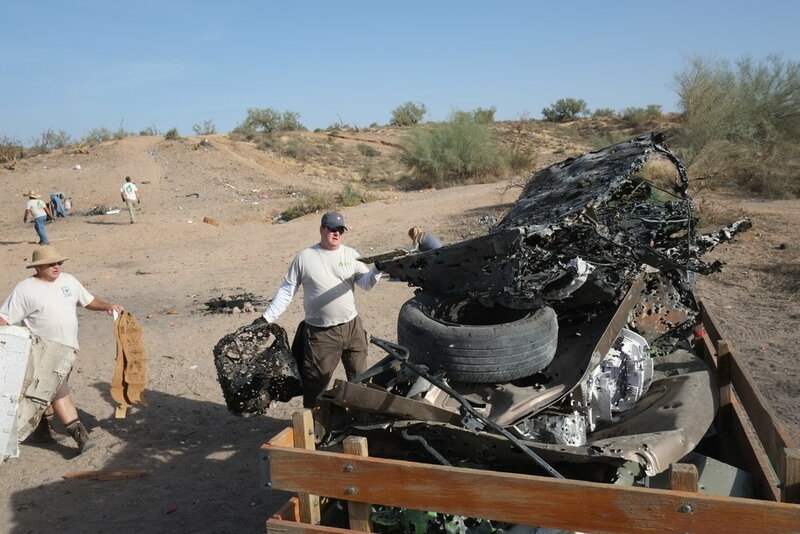 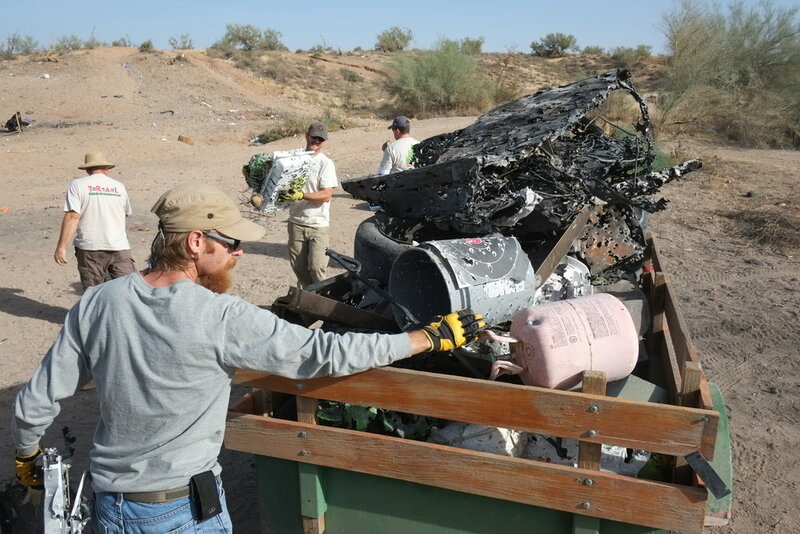 Our Dedicated Restoration Team worked with 46 volunteers and several Tonto National Forest - Mesa Ranger District Rangers throughout the morning and into the afternoon to remove 11,660 pounds of trash from the Off-Highway Vehicle (OHV) area, that's 5.53 tons! 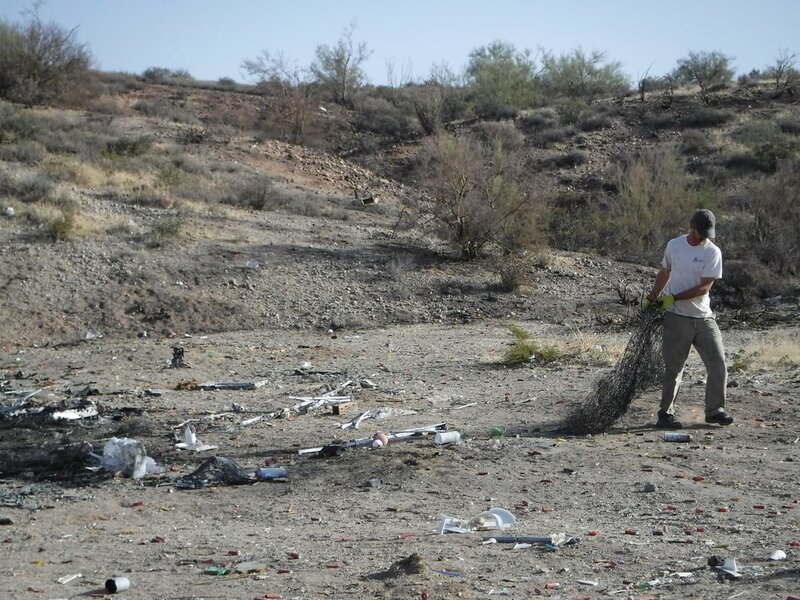 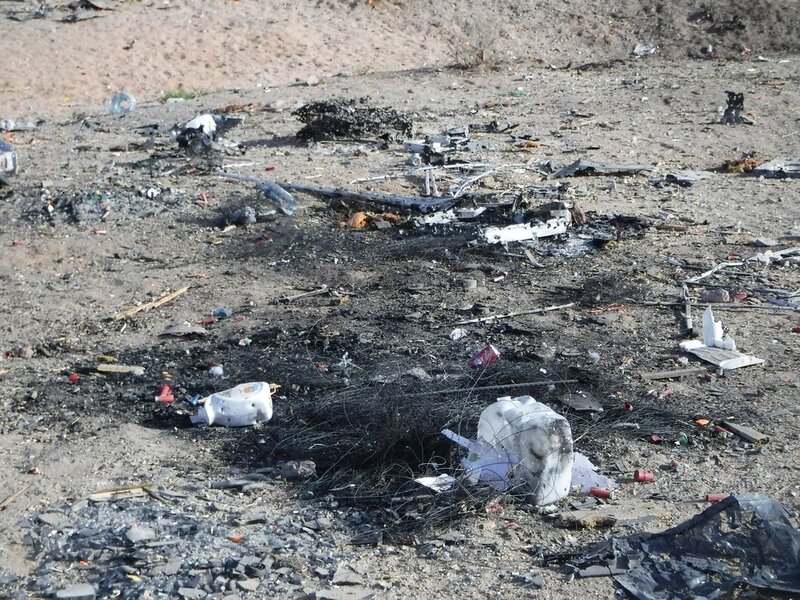 We also extinguished two abandoned and burning campfires before the cleanup started and removed nails from pallet fires burned in the parking corral before volunteers arrived. 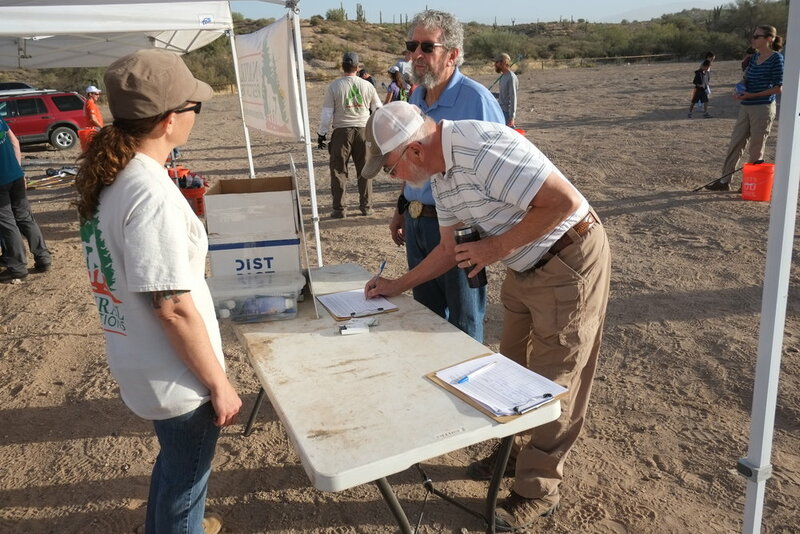 Huge thanks to the following organizations and individuals for your support of this event: Arizona State Parks & Trails, Arizona Trail Association, Ascender Game Carrier, Garland Signs & Specialties, The Home Depot in Apache Junction off Crismon & US-60, The Home Depot in NE Mesa off Power & McKellips, ICON Vehicle Dynamics, Insane Audio, J. Bowers & Associates, Salt River Project, Tom Story Photography, the U.S. Forest Service - Tonto National Forest, Mesa Ranger District, & Walmart in Apache Junction. 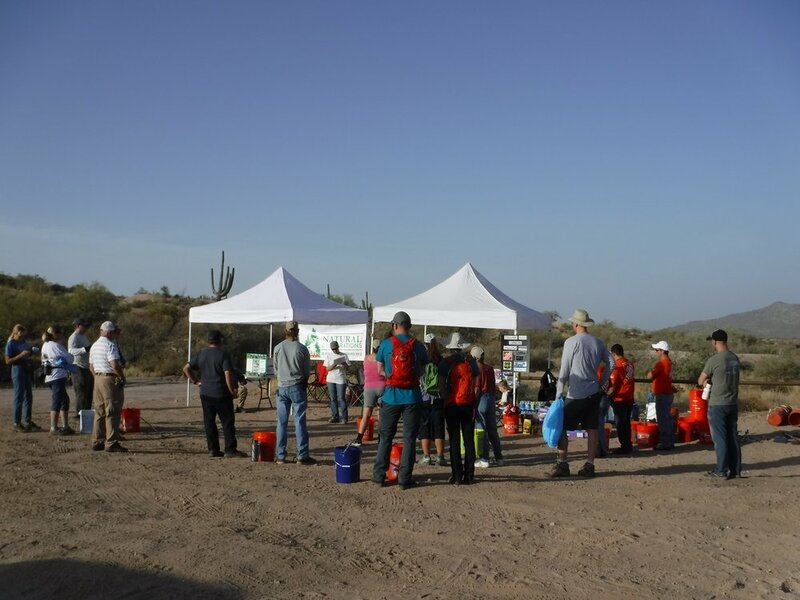 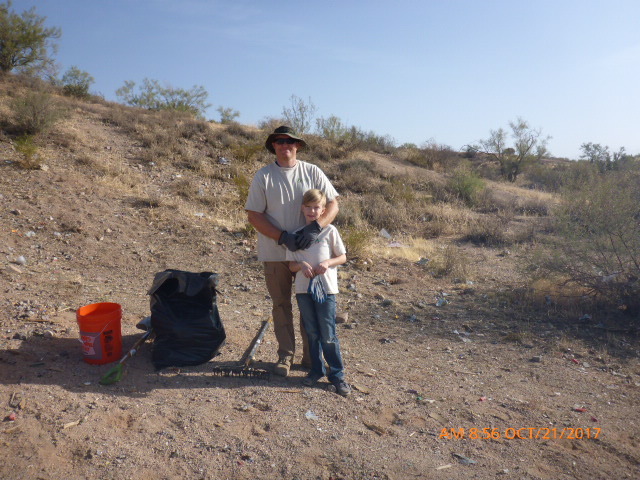 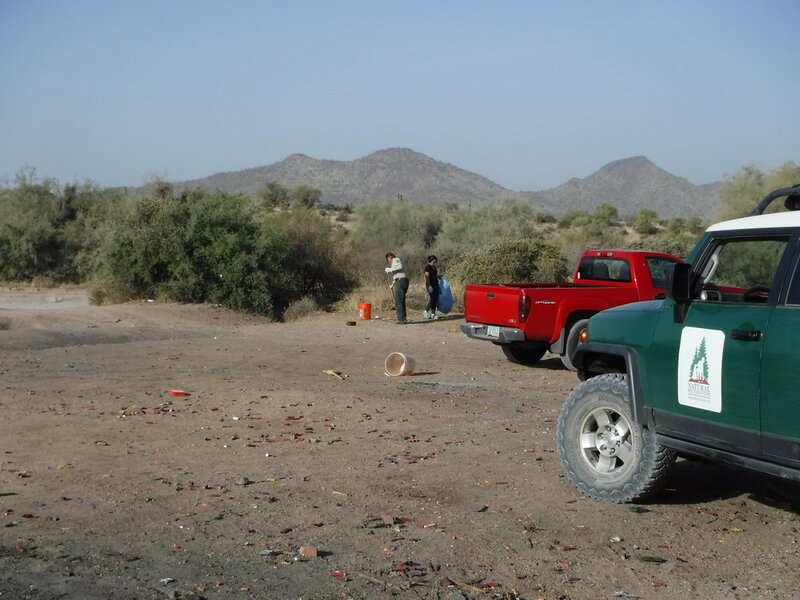 Special thanks to everyone from the Tonto National Forest - Mesa Ranger District! 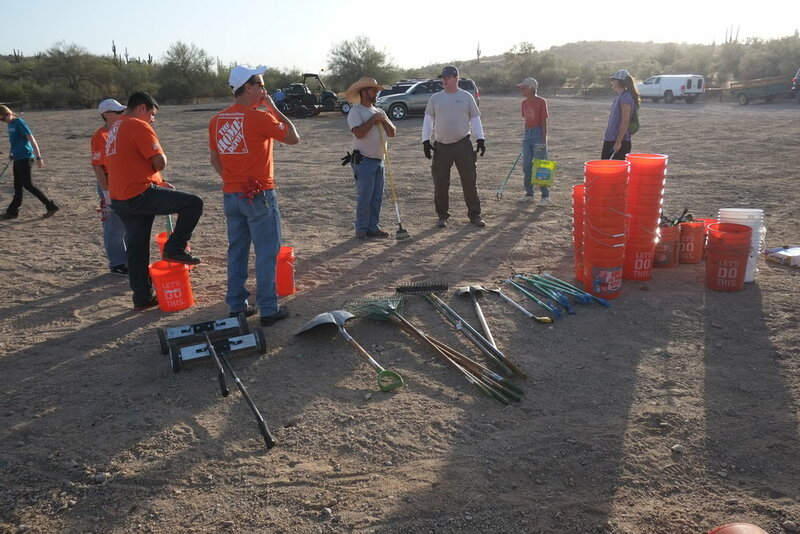 We would also like to thank the Home Depot in Apache Junction off Crismon and US-60, the Home Depot in NE Mesa on Power and McKellips, the United States Forest Serivice - Tonto National Forest - Mesa Ranger District, and Walmart in Apache Junction for their generosity and support. 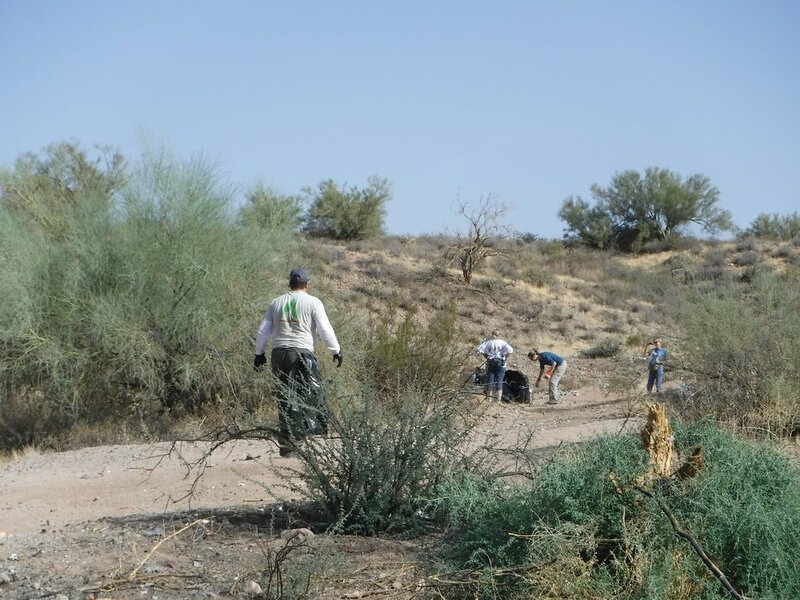 Photo gallery courtesy of Charlie Ellis, click photos for larger images. 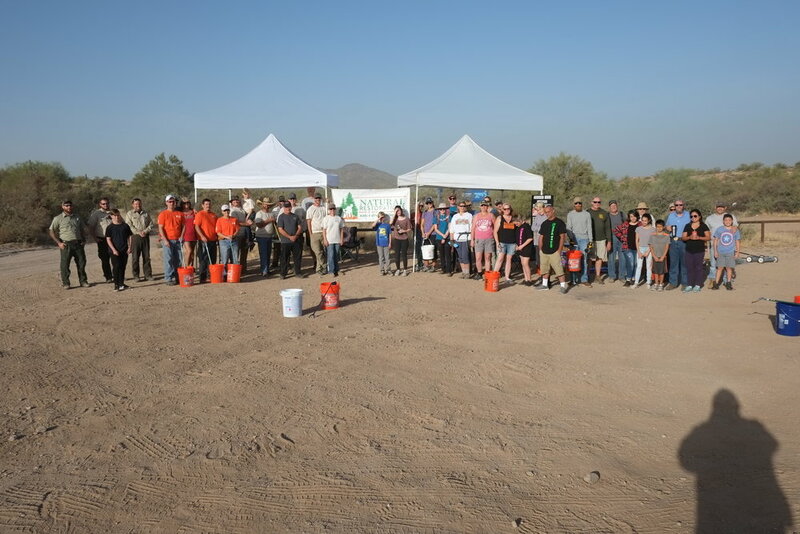 Thank you to all of the volunteers, including members of Arizona 4X4, Arizona Trails 4X4, Arizona Pilot's Association, APS, The Home Depot, REI, Tonto Recreation Alliance (TRAL), 1canican, and everyone else from the community for coming out and volunteering with us! 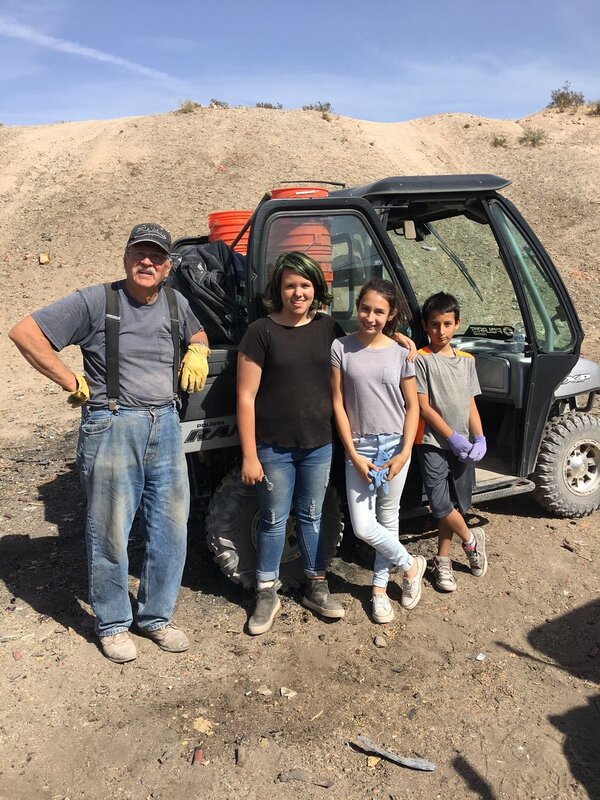 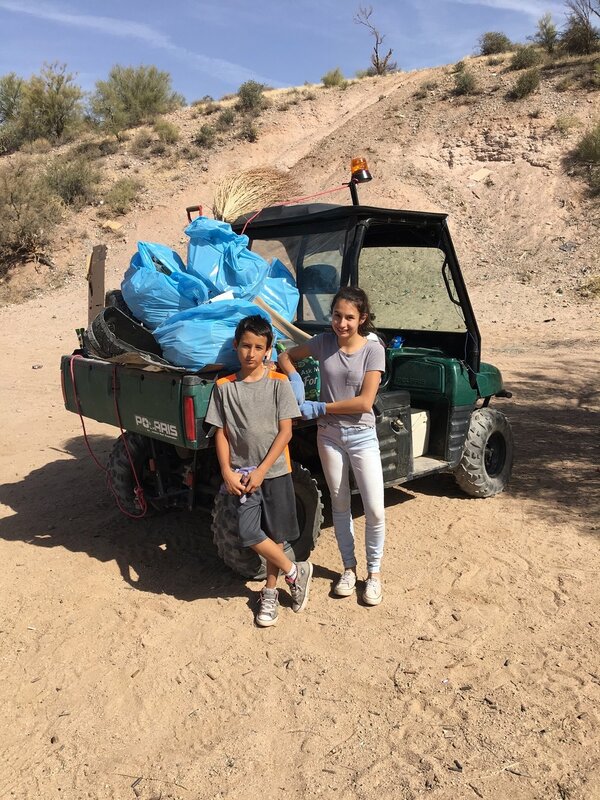 A huge thank you to brothers, Judd and Roxey Bowers, for bringing their grandkids out with their ATV's to deliver cold bottled water and trash bags to volunteers, and thank you for all of the trash you picked up and brought back to the dumpster.